Love 'em or Leave 'em Valentine's Day Dash 5K - 2/14/2014. My result 16:04, place 6/801 total, 2/96 in M30-39 age division (all results). BMO Vancouver Half Marathon - 5/03/2015. My result 1:15:09, place 16/7853 total, 4/471 in M35-39 age division (all results). Houston Marathon - 1/19/2015. My result 2:36:33, place 37/7146 total, 2/687 in M35-39 age division (all results). Seattle 1/2 marathon - 11/30/2014. My result 1:17:25, place 13/4824, 2/282 in M35-39. Labor Day 1/2 marathon - 08/31/2014. My result 1:14:03, place 9/818, 1/61 in M35-39 (all results). Fall City 10K - 06/14/2014. My result 33:07, place 1/163, 1/08 in M35-39 (all results). 2014 Northwest Region Open Track & Field Championships 10K - 06/04/2014. My result 34:02, place 3 overall (all results, all results). Cinco De Mayo 1/2 Marathon - 03/05/2013. My result 1:15:37, place 4/380, 1/25 in M35-39 (all results). Mercer Island 1/2 marathon - 03/23/2013. My result 1:14:47, place 8/2018, 1/193 in M35-39 (all results). Love 'em or Leave 'em Valentine's Day Dash 5K - 2/08/2014. My result 15:56, place 8/1286 total, 4/104 in M30-39 age division (all results). Chicago Marathon - 10/13/2013. My result 2:37:32, place 122/38846 total, 17/3605 in M35-39 age division (all results). JBLM 1/2 marathon - 09/14/2013. My result 1:17:30, place 3/193, 2/M30-39 in M30-39 (all results). Snoqualmie Rail Road 10K - 08/17/2013. My result 34:37, place 15/176, 1/11 in M35-39 (all results). CNW All Comers track meet 5K - 7/10/2013. My result 16:18, place 3/16 total, in M30-39 age division (all results). CNW All Comers track meet 3K - 7/03/2013. My result 9:31, place 3/7 total, 1/1 in M30-39 age division (all results). Fall City 10K - 06/15/2013. My result 33:30, place 1/162, 1/10 in M35-39 (all results). Shore Run 10K - 06/09/2013. My result 33:49, place 3/865, 1/63 in M35-39 (all results). Top Pot Doughnuts 5K - 04/28/2013. My result 16:26, place 3/1839, 2/182 in M35-39 (all results). Ruston Way 5K - 04/20/2013. My result 16:21, place 12/304, 3/15 in M35-39 (all results). To Hell with Cancer 5K - 04/06/2013. My result 16:37, place 3/250, 1/17 in M35-39 (all results). Mercer Island 1/2 marathon - 03/24/2013. My result 1:16:18, place 4/1564, 1/158 in M35-39 (all results). Love 'em or Leave 'em Valentine's Day Dash 5K - 2/09/2013. My result 16:00, place 8/2424 total, 4/223 in M30-39 age division (all results). Resolution Run 5K (dry) - 1/1/2013. My result 16:28, place 1/620 (all results). Emerald City Open Cross County 8K - 10/13/2012. My result 28:30, place 35/76. WWU Cross Country Invitational 10K - 10/06/2012. My result 35:12, place 121/178 (all results). Microsoft 5K - 10/05/2012. My result 16:58, place 2/2017 (all results). Issaquah 10K Run - 09/30/2012. My result 34:07, place 10/488, 2/31 in M30-34 (all results). Skagit Flats 1/2 marathon - 09/09/2012. My result 1:15:43, place 3/447, 1 in M30-34 (all results). CNW All Comers track meet 5K - 8/08/2012. My result 16:13, place 8/15 total, 1/2 M30-39 in age division (all results). Ragnar Northwest Passage Relay - 07/19-20/2012. 195 miles, Mitochondriacs team (12 people). Our team result 26:31:11, 13/180 in Regular Mixed Open category (all results). Boston Marathon - 4/16/2012. My result 2:40:55, place 91/22480 total, 75/4548 in M18-39 age division (all results, bib #525). Redmond newspapper article. Lake Sammamish 1/2 marathon - 03/10/2012. My result 1:14:32, place 4/1033, 1 in M30-34 (all results). Love 'em or Leave 'em Valentine's Day Dash 5K - 2/11/2012. My result 16:11, place 9/2360 total, 3/235 in M30-39 age division (all results). Magnuson Series 10K - 01/14/2012. My result 34:52, 1st place overall out of 55 (all results). 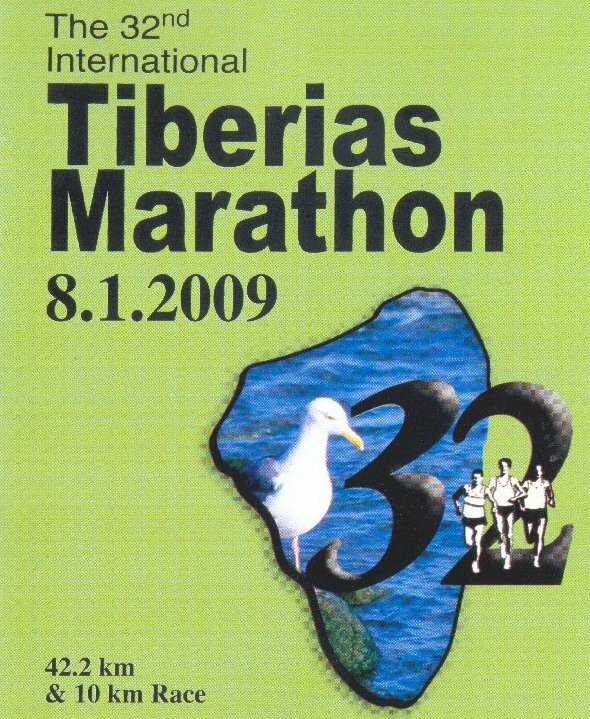 Labor Day 1/2 marathon - 09/05/2011. My result 1:16:56, place 9/860, 2/60 in M30-34 (all results). Snoqualmie Railroad Days 10K - 08/20/2011. My result 34:47, place 16/268, 4/16 in M30-34 (all results). Ragnar Northwest Passage Relay - 07/23-24/2011. 189 miles, Mitochondriacs team (12 people). Our team result 25:11:34, place 36/288, 3/22 in Mixed Sub Masters category (all results). Haifa Race 10K - 5/31/2011. My result 35:50, place 15/1006 total, 2/72 in M30-34 age division (all results). 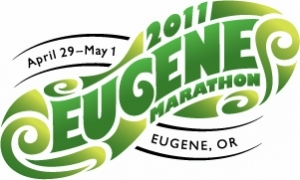 Eugene Marathon - 5/1/2011. My result 2:43:29, place 23/2292 total, 9/183 in M30-34 age division (all results). Mercer Island 1/2 marathon - 03/20/2011. My result 1:17:18, place 13/1633, 2/117 in M30-34 (all results). Love 'em or Leave 'em Valentine's Day Dash 5K - 2/12/2011. My result 16:52, place 18/2493 total, 10/241 in M30-39 age division (all results). Kirkland Christmas Holiday 5K - 12/19/2010. My result 17:34, place 2/627 total, 1/47 in M30-39 age division (all results). Victoria Marathon - 10/10/2010. My result 2:52:09, place 38/3638 total, 5/157 in M30-34 age division (all results). Super Jock 'n Jill 1/2 marathon - 09/06/2010. My result 1:18:35, place 34/985, 9/150 in M30-39 (all results). Redmond Footzone 5K - 08/08/2010. My result 17:26, place 26/416, 7/47 in M30-39 (all results). Ragnar Northwest Passage Relay - 07/23-24/2010. 189 miles, Mitochondriacs team (12 people). Our team result 25:12:22, place 33/208, 3/20 in Mixed Sub Masters category (all results). Fall City 10K - 06/19/2010. My result 35:12, place 10/116, 6/15 in M30-39 (all results). Nordstrom Beat the Bridge to Beat Diabetes 8K - 5/16/2010. My result 28:19, place 39/5468 total, 6/386 in M30-34 age division (all results). Love 'em or Leave 'em Valentine's Day Dash 5K - 2/13/2010. My result 17:34, place 31/2337 total, 8/237 in M30-39 age division (all results). Kent Christmas Rush 5K - 12/12/2009. My result 17:54, place 5/1200 total, 1/25 in M30-34 age division. Portland Marathon - 10/04/2009. My result 2:54:22, place 62/8091 total, 14/590 in M30-34 age division. Certificate. Super Jock 'n Jill 1/2 marathon - 09/07/2009. My result 1:21:24, place 37/1207, 9/199 in M30-39 (all results). Fall City 10K - 06/20/2009. My result 36:28, place 5/193, 1/29 in M30-39 (all results). Tel Aviv 10K (at the same time with Tel Aviv Marathon) - 4/24/2009. My result 37:19, place 27/4374 (all results). Track 5K - 2/04/2009. My result 18:30.  Riegel formula: T2 = T1 x (D2/D1)^1.06. T1 is the given time, D1 is the given distance, D2 is the distance to predict a time for, and T2 is the calculated time for D2. Jack Daniels Running Formula - by far, the best professional running book I was fortunate to read so far. The "Running Bible". My training philosophy is build on this book. David Holt - books and training advices. Also "Running Dialogue" - Training Book for 5K, 10K, half-marathon & marathon running & racing, by David Holt. Tolt pipeline which crosses with the Sammamish River Trail at Woodinville. At the east end, you can turn onto the paths through the Trilogy housing development. These connect up with the Redmond Watershed. From Watershed you can take the Powerline (PSE) trail back down to the Sammamish River Trail just above Redmond.